Sitting, eating, lying, bathing, storing, arranging flowers, telling the time—these are the functions to which mainstream design reduces the sum of human effort, focusing on model houses with model users whose needs do not deviate from the essentials of living. But as Unhappy Hipsters highlights, humans are more than just objects in their own domestic showrooms and, moreover, we are more often than not lonely and horrible. Here, a few young designers creating furniture that addresses more psychological functions than simply sitting down. 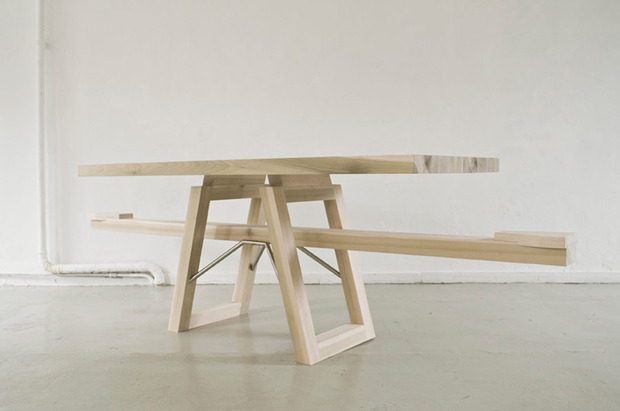 The “Courtesy Table” by young Dutch designer Marleen Jansen came out of her thesis on table manners. She wanted to design a table that voluntarily forced people to remain at the table until everyone was finished eating. The bench beneath the table is hinged like a see-saw and requires both diners to remain seated if balance is to be maintained. You can’t help wondering if the second iteration will also somehow prevent diners from using their mobile phones. 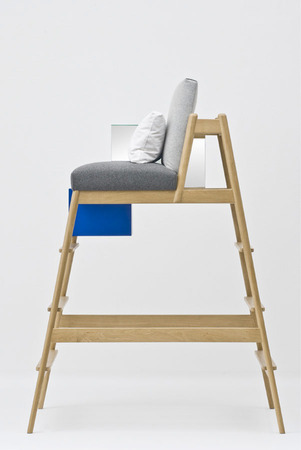 The “Homage To Karl” chair by Patrycja Domanska and Felix Gieselmann is a high chair to make it easier for writers in coffee shops to observe people and distinguish themselves. 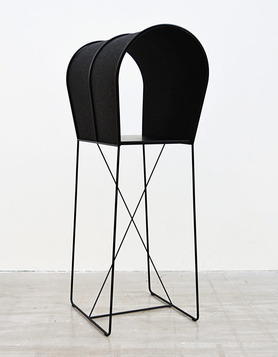 Literally elevating the status of cafe hacks and affording reticent writers with some narcissism, self-staging and even retreat, the chair was inspired by Austrian author Karl Kraus, known for his patronage of Viennese cafes. Swedish design student Nick Ross has also sought to design a micro-environment of discretion within public spaces. 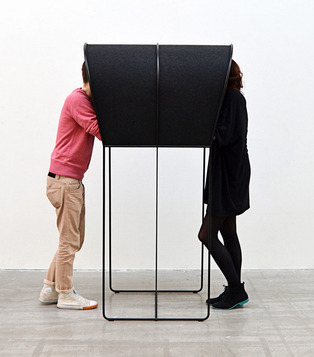 “Confession” is a bar with a sound-proofed hood that encourages confidential activities such as the sharing of secrets, office gossip, a personal story or even a quick business meeting in crowded areas. 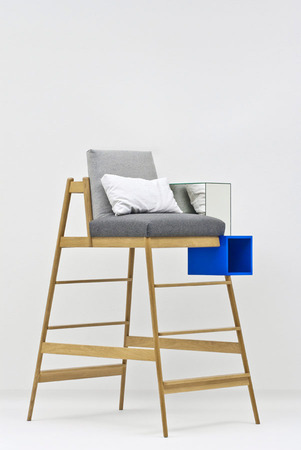 Like in Arik Levy’s similar atonement-orientated “Contemporary Domestic Confessional“, the privacy-seeking zeitgeist is providing solid inspiration for thoughtful furniture design. Besides driving a throwback to confidentiality, it is also possible that Facebook is making the world lonelier than ever before. 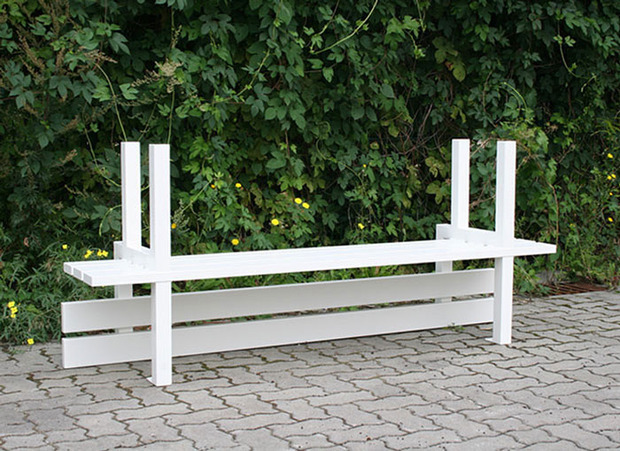 Danish artist Jeppe Hein has hacked the typical park bench to create alternative typologies, which encourage interaction and discussion about social behavior in public spaces. The almost dysfunctional benches demand that the user be engaged with their environment and turn sitting into a conscious act, rather than blending into the anonymity of the crowd.